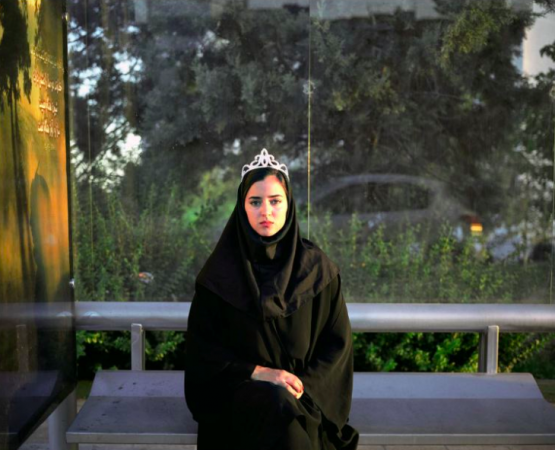 A self-taught photographer, Newsha Tavakolian (b.1981, Tehran, Iran) began working as a professional photographer with the Iranian press at age 16. Beginning at the women’s daily newspaper, Zan, she later worked for nine other reformist dailies, all which have since been banned. At 21, she began working internationally, covering wars, natural disasters and social documentary stories in Iraq, Lebanon, Syria, Saudi Arabia, Pakistan and Yemen. Her work has been published by international magazines and newspapers such as Time, Newsweek, Stern, Le Figaro, Colors, New York Times Sunday magazine, The New Yorker, Der Spiegel, Le Monde, NRC Handelsblad and National Geographic. Newsha is particularly known for focusing on women’s Issues. 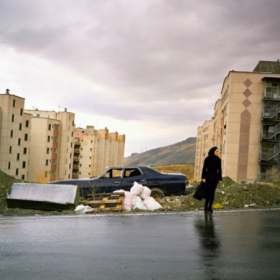 Her current works encompasses both documentary and art photography. 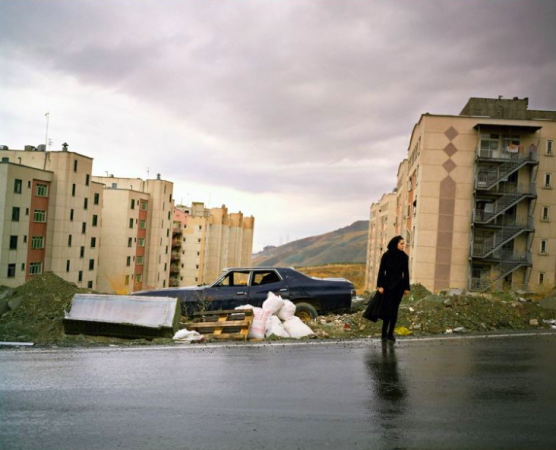 For the series Listen, Newsha Tavakolian photographed six female professional singers in Iran, who, following the Iranian revolution of 1979, are not allowed to sing solo, perform in public or record CD’s. For the series, Tavakolian also produced mock CD covers and filmed videos of the performers singing heartfelt ballads, only to remove the vocal tracks leaving the women voiceless through an emotional performance. The images and video installation discuss the barriers dividing her culture and how women’s freedoms and forms of expression are suppressed. Eyes closed, mouths open, as if in a dream. Standing facing us with their backs to the darkness, they sing, soundless; they have been standing here, singing for themselves for a long time, imagining us, hearing. Standing, facing days of tedium, facing a world that has adorned them with a false crown. Standing, waiting.